Booth Tarkington (1869-1946) appears twice on the list. The first time was for 1915’s The Turmoil. While he had great commercial and critical success with serious and mature novels (garnering two Pulitzer prizes in the process), he was also well known for his comedic fiction starring children and teenagers. Penrod (1914), which followed the eponymous twelve-year old, was one of his bestselling books in terms of numbers of copies sold. Both Seventeen and Penrod and Sam (the sequel to Penrod) were published in book form 1916. The cast includes bizarre and amusing characters like William’s ten year old sister Jane, the adventurous, free-spirited bane of William’s existence. And of course, the love interest, the exasperating Lola Pratt, whose refusal to speak in any fashion other than ‘baby talk’ straddles the line between humorously annoying and cringe-worthy. Seventeen is funny, even though at times the gags get a bit repetitive. But at 185 pages, it doesn’t have a chance to drag. The humor is largely based on the over-the-top love-strickenness of William and the overwrought nerves of the adults who have to deal with them. All this is strung together with a heaping dose of slapstick. It certainly benefited from Tarkington’s popularity and the success of his other teenager stories. It’s a short, fun read which would certainly boost its saleability. 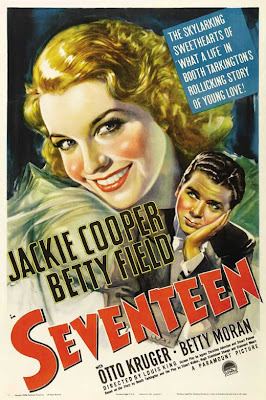 On top of that, a silent film version of Seventeen was released in early November, 1916. Seventeen remained popular for several decades after its publication. In addition to the 1916 silent film, the novel was also adapted into a stageplay in 1918, a short-lived musical (Hello, Lola) in 1926, an Orson Welles radio broadcast in 1938, a talkie in 1940, and lastly another musical in 1951. Eventually, Seventeen went the way of the rest of Tarkington’s oeuvre and faded into obscurity. As with The Turmoil, there are aspects of the story that do not translate well into modern attitudes. Certain subplots (e.g. William’s quest for an evening suit) are far removed enough from modern culture that they lose much of their impact. If you can overlook that and have the patience to deal with Lola’s (intentionally and humorously) grating personality, I’d gladly recommend it as light, fun reading. You can read Seventeen on Project Gutenberg. You can listen to the Orson Welles radio adaptation on Youtube. Mott, Frank Luther. Golden Multitudes: The Story of Best Sellers in the United States. New York: The Macmillan Company. 1947. Tarkington, Booth. Seventeen. New York: Harper & Row. 1968. This was great fun. I've been reading these on my Kindle while working out at the gym. "Seventeen" made me laugh-out-loud several times. I particularly liked the slapstick scene as William was preparing for the afternoon tea party at his house. I'm also reading "Catastrophe: 1914" when I'm not at the gym. It's about the start of World War 1. 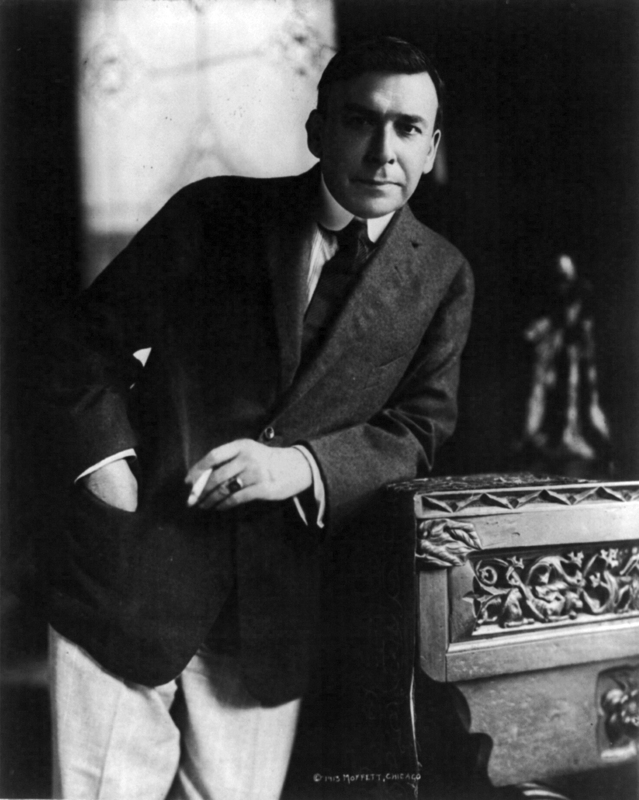 Tarkington's book presumably took place the summer of 1914 although there was no mention of it at all in his novel. I doubt many Americans cared much for what was going on in Europe that summer. I couldn't help but wonder if Willie and his friends would end up in France in a few years. I was happy that Tarkington provided a little "flash forward" at the end so I knew Willie had at least survived the war.